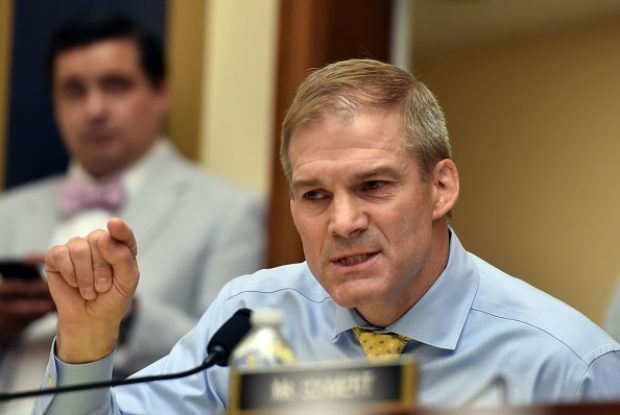 A former Ohio State University wrestler who accused Republican Ohio Rep. Jim Jordan of ignoring sexual misconduct by a university physician more than two decades ago was sentenced for telephone harassment Thursday. Michael DiSabato, one of the first people to report allegations that Jordan was covering up sexual abuse against Ohio State University team doctor Richard Strauss, was convicted in a one-day jury trial on charges of misdemeanor telephone harassment, The Columbus Dispatch reported. DiSabato was charged with misdemeanor telephone harassment and sentenced to a suspended 180-day jail sentence, three years of probation and a $1,000 dollar fine. The news comes after he reportedly was accused of intimidating and bullying the widow of a Marine who was killed in combat in Iraq over a memorial fund set up in her husband’s name. Jordan was an assistant wrestling coach from 1986 to 1994 at OSU. He said he would have taken action had he known about any abuse by Strauss, who killed himself in 2005. If DiSabato breaks the terms of his sentencing, he will likely be forced to serve the 180 days in jail and could face further punishment.